Downtown Manhattan is changing at a rapid pace which is making it one of the most exciting neighborhoods in NYC right now. 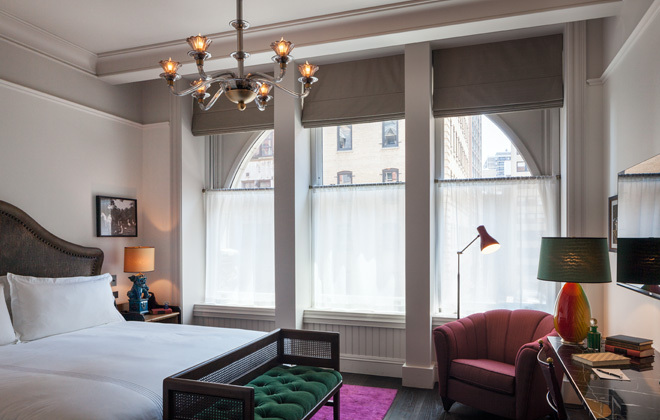 One of the reasons I am most excited about this area is because of a newly restored hotel, The Beekman Hotel by the Thompson Hotel Group, which opened today near City Hall park. It is sure to enliven this historic neighborhood even further by bringing back one of its most prized gems, as well as adding a new take on Old New York with a residential tower. From what I have seen, it looks absolutely fantastic so far. The building is stunningly beautiful inside and out, and was originally constructed in 1883 as Temple Court. It served as a business center in its heyday, housing law and accounting offices, as well as publishers and writers such as Edgar Allen Poe. Yes, that’s right folks, THE Edgar Allen Poe! It boasted a beautiful nine-story atrium at the center of the building, topped off with intricate glass and ironwork that at the time gave way to nothing but sky, since at around ten stories, the building was considered a skyscraper! It used to be one of the tallest buildings in NYC. 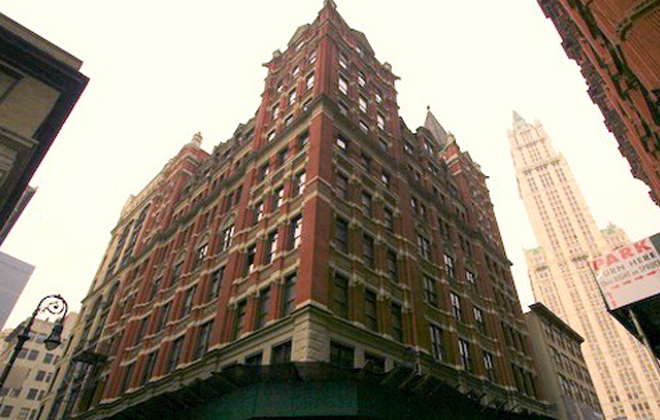 An old street shot of the exterior of 5 Beekman Street, via ScoutingNY. In the 1950s, with business changing and new building codes being implemented throughout the city, this grand building was chopped up into smaller, more practical office units, with the atrium boarded up for safety reasons. Although this iconic building gained landmark status in 1998, it fell into disrepair, with tenants moving out to seek the sleeker new office space that that was sprouting up in high-rises all over the Financial District. It remained empty and abandoned throughout the 2000s. I cannot understand why, but it did! 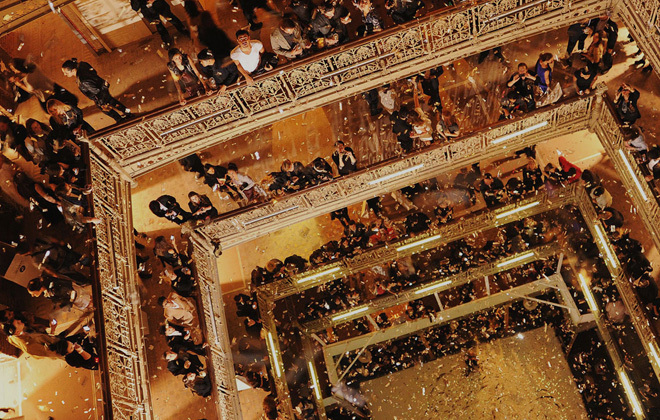 In fact, the building became some what of an attraction for the art and fashion scene, attracting the likes of Maison Margiela and Proenza Schouler, who held their runway shows in this colossal empty space. 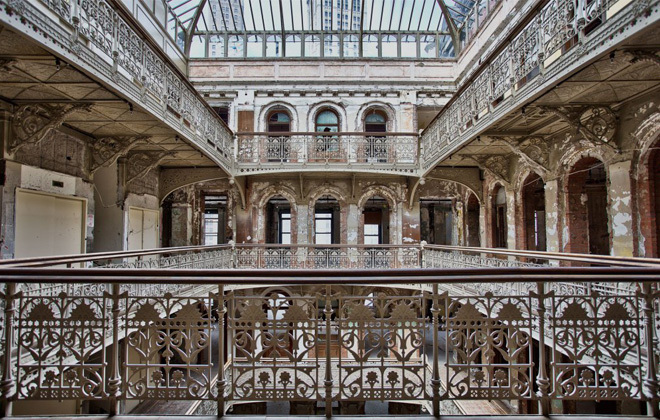 Top floor of the atrium in 5 Beekman Place, shot pre-restoration by Darren Ketchum. But thankfully, nothing can stay nothing for long in New York! This space that attracted so many “urban archeologists,” interested in uncovering this preserved slice of Old New York was eventually bought up and the massive restoration started in 2013. 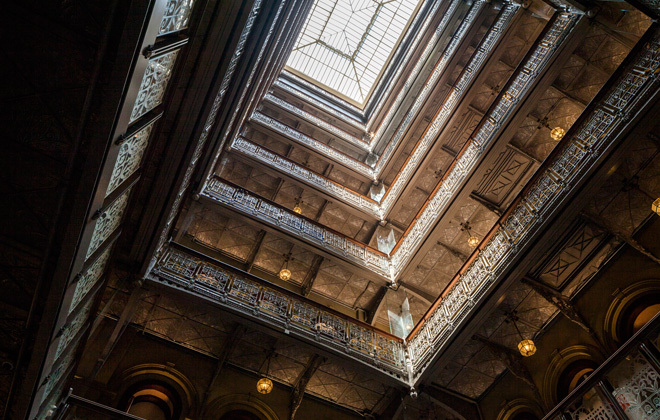 The restoration process was an incredibly intricate one, the architecture firm Gerner Kronick + Valcarel assisting in restoring or re-creating all the terra cotta tiling, ironwork, and custom millwork. The famed Atrium has also been opened up again! However now the view to the top is a bit different, with Tower One at the World Trade center prominently featured, along with many other Lower Manhattan icons, like the Woolworth Building. 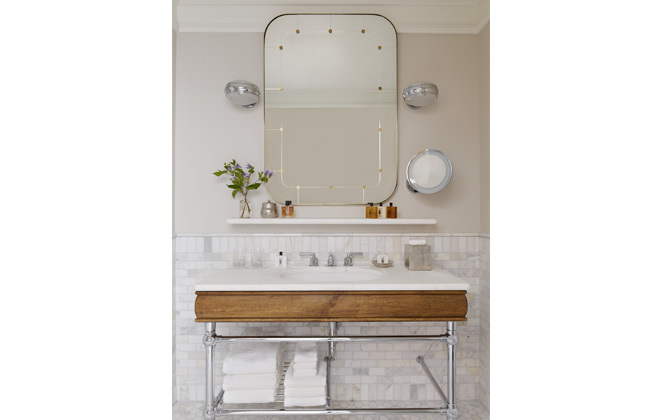 The hotel features beautiful rooms and suites designed by Martin Brudnizki, and restaurants by all-stars Tom Colicchio and Keith McNally. The mixed-use property will boast a brand-new residential tower built just behind the original building. Taking queues from the old design, the new tower and approach to preservation and innovation reflects the enrichment going on across Lower Manhattan, the area hit hardest after 9/11 and the subsequent market crashes. The new Beekman will be sure to bring people flocking to see this fabulous gem finally uncovered! I am certainly going to be one of them.